Gashu was born in Tokushima city of Tokushima Prefecture in 1882. 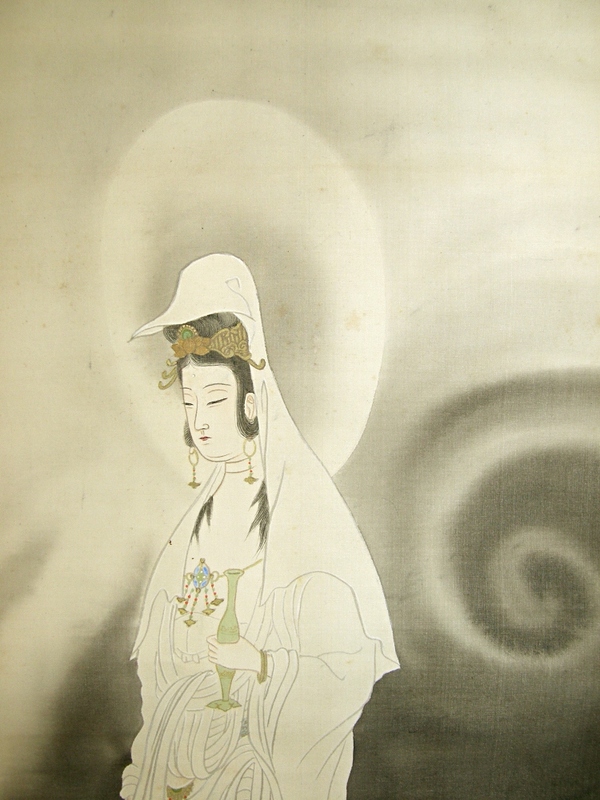 He studied the Shijo style painting under Fukai Hoshu and also studied the Kano style under Kano Eicho. Later, Gashu has tripped around Kyoto and Osaka for further study for over 20 years. In the meantime, he became acquaintances with Hashimoto Gaho and others. In the Taisho era, Gashu was accepted for the National Exhibition. We can find humors in his works. Gashu deceased in the 14th year of the Showa era (1939). This scroll was drawn in March of 1934. There are some spots and stains on the drawing part. The mounting is slightly curly. 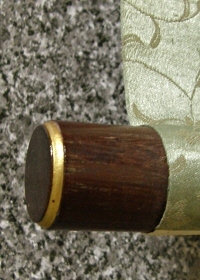 Although, the condition of this scroll is not so bad. 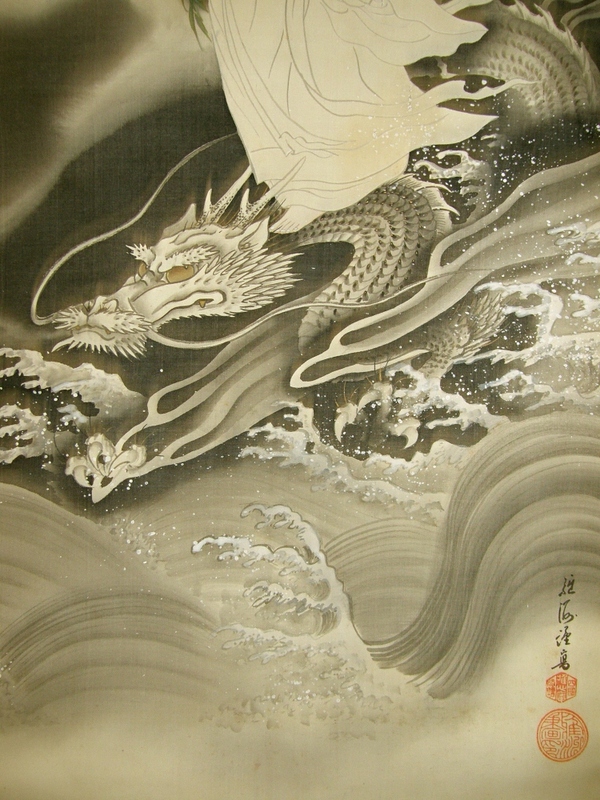 The Kannon (Guanyin, Goddess of Mercy) on a dragon was drawn well by Takahara Gashu.